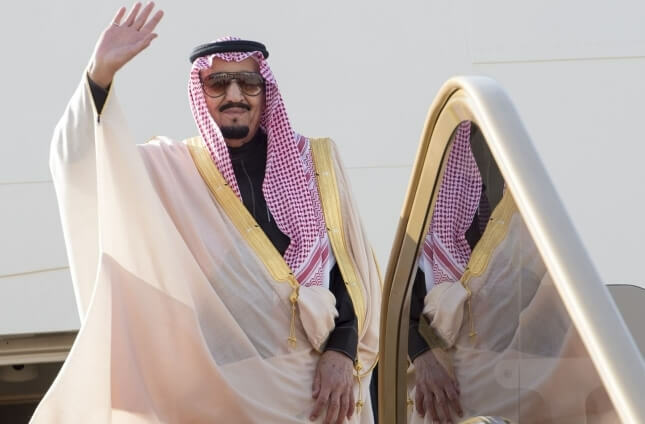 The Kingdom of #Saudi_Arabia is truly blessed to be led by #King_Salman bin Abdulaziz Al Saud, the Custodian of the Two Holy Mosques, an exceptionally wise and generous monarch. His reign has been transformational. He has proved to be among the greatest leaders of our time and a staunch Arab patriot. He is a man of the people who cares deeply about their concerns, surmounting all obstacles to defend their interests as well as those of Saudi’s Gulf allies. He is cut from the same mould as the “Fathers of the #UAE” #Sheikh_Zayed bin Sultan Al Nahyan and #Sheikh_Rashid bin Saeed Al Maktoum, both compassionate forward-thinkers unafraid to carve a path to a brighter future. The Monarch’s generosity is legendary. The #King_Salman Humanitarian Aid and Relief Centre has spent almost $2bn on health, agriculture, refugees, water, sanitation and hygiene in over 40 countries. Programmes include the rehabilitation of child soldiers and the distribution of shelter, food and wheelchairs to those in war zones and disaster areas. As Governor he worked hard to attract foreign investment, improved infrastructure and became known as a peacemaker, solving disputes between tribes and ensuring all social sectors were treated justly with respect. In short, he loves his people and genuinely strives for their wellbeing. He has often gone among them to discover their needs and wants first-hand. During #King_Salman’s rule, the Kingdom has witnessed vast improvements, economically and socially, implemented under the supervision of his son Crown Prince Mohammed who is opening up Saudi to the outside world. Among the many tourism projects in the pipeline are ambitious Red Sea island resorts inspired by the Maldives model. Saudi youth are enthused by mushrooming theatres, cinemas and entertainment venues. For the first time, women can drive themselves and now have diverse career choices. More females participate in sports and they can now attend sporting events as spectators in specified venues unaccompanied by a male guardian. At the same time the powers of the once feared ‘muttawa’ religious police have been severely curtailed. During US President Donald #Trump’s visit to #Riyadh the King inaugurated the Global Center for Combating Extremist Ideology ‘Etidal’ that promotes moderation and acceptance. Specialists trained to recognize radical speech patterns confront extremist propaganda on the internet and monitor reports in the media are employed. #Vision_2030, a plan to diversify the economy away from reliance on oil with commitments to education, innovation, the privatization of state-owned assets and an end to corruption, is nothing less than genius. Its prime goals are to grow the economy, provide business opportunities and jobs while providing transparent governance. These are very important steps in the Arab World’s most conservative country, home to Islam’s holiest sites, where drastic change cannot occur overnight without pushback. The King is obliged to walk a tightrope between facilitating progress and the preservation of traditional mores. The King is meticulous of his role as Guardian of the Two Holy Mosques without discrimination. Despite the fraught relationship between #Saudi_Arabia and #Iran, over 85,000 Iranian pilgrims undertook the hajj this year and lauded the welcome they received. He is determined to create the best possible environment for pilgrims to worship and practice their religion. A high-speed railway now connects the Holy cities of #Mecca and #Medina geared towards transporting 60 million passengers annually. Infrastructure projects aimed at increasing capacity, among them the world’s biggest hotel, are underway at a cost of $80bn. To be frank, I have been shocked and distressed at the unfounded accusations in the media launched at the Monarch and his son over the Khashoggi affair. To imagine that either gave the order for such a heinous crime was for me unthinkable. I have been proven correct now that the results of the Saudi investigation have been published. Rogue elements tasked with persuading the Saudi national believed to have been “co-opted by organizations and countries hostile to the Kingdom” to return home overstepped their mandate. The #United_States, #France and #Pakistan have hailed the findings and arrests. Five have been charged and if prosecutors get their way will receive the death penalty. Shame on #Turkey for its politicization of this criminal incident! The government of a country which imprisons the most journalists worldwide has purposefully dripped information hoping to gain leverage for itself and one of its regional benefactors. Turkish President Recep Tayyip #Erdoğan has whipped up international hysteria in a cynical attempt to keep the story front and centre of the news for weeks. He has played an underhand game going as far as to disseminate recordings of the killing. Why is nobody asking how those recordings were obtained? Evidently the Turkish government is breaching diplomatic norms and infringing sovereignty by spying on embassies and consulates. Demonization of #Saudi_Arabia and its leadership must stop forthwith. The Kingdom underpins the Arab World; its stability and strength is critical to our region, our religion as well as global security and prosperity. As long as their leaders like #King_Salman with a tender heart and a strong, steady hand, no conniver or plotter can succeed in doing us harm.